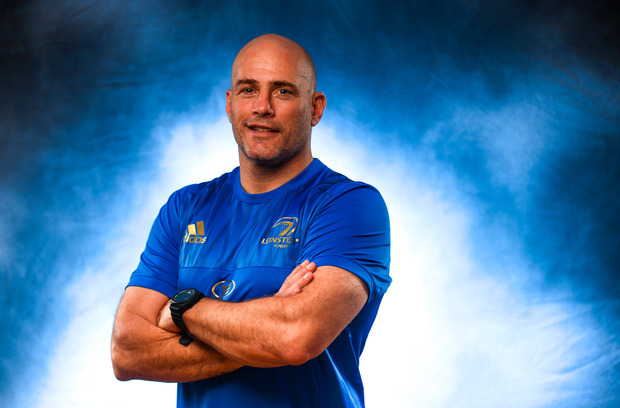 Felipe Contepomi says he is relishing the opportunity to help Leinster get even better next season after returning to the province as backs coach. Leinster legend Contepomi - who won the Heineken Cup in 2009 with the team - has replaced Bath-bound Girvan Dempsey ahead of the 2018/19 season. The ex-Argentine international gained coaching experience with the Jaguares in Super Rugby and Argentina XV before making the move back to Dublin this summer, and speaking to Leinster TV today the former number ten says he thinks his return was 'destiny'. "It’s a great feeling, I think it’s fortunate to be able to come back to Leinster especially after they’ve proved they’re the best team in Europe," he said. "But also the set-up and the people here, the rugby culture and how they feel rugby, it’s special. I’m very fortunate to be back here. "I kept in touch with a lot of Irish friends but not specifically with Leo or Leinster itself in terms of coming back or something. It was destiny or whatever you want to call it, provided by God, I don’t know. "Probably there is not better place to go if I want to leave Argentina. Having played the game at a high level, it gives you a knowledge that it’s good if you’re able to transmit that and transmit experience and so on." Despite being relatively new to coaching, Contepomi thinks his experiences over the last few years will stand to him at Leinster. "Hopefully I’ve got in the last few years a bit more knowledge on technique, on things the way I have seen rugby," Contepomi said. "For me as a coach when you’re going into a working team or going into a club, you need to understand the culture of the club so as to know what you can bring on or what you can leave. "For me, coming back to Leinster, I think I have a pretty good idea of what the culture is and where are they moving and I spoke a lot with Leo in the last month or so [to see] where they have been for the last few years. "I’m really happy and I think that knowing the type of rugby that Leinster wants to play and knowing the culture of rugby, the Leinster way, is where you can add something. Hopefully I can add something to some of the players and the coaching staff. "Living in Argentina I always followed Leinster. It’s my club in Europe to put it one way, it’s the club I’ve been most attached to. It’s great to see Leinster top in Europe and also in the Pro14." Leinster enjoyed their greatest ever season last year, claiming a first ever double after winning both the Champions Cup and the PRO 14. Contepomi thinks it makes his job even tougher as he looks to find ways to improve one of Europe's best backlines. "I think it’s a great challenge as well and to come into a winning team," he said. "I always hear that you learn more from a defeat than a win and for me, that’s not quite right because you have to learn from a defeat, if not you’ll be sinking and sinking even further. "For me the greatest teams are the teams that learn when they win and they get better and better and they strive to get better and better and they want to progress and keep learning and keep improving. "That’s the big challenge I think for Leinster to hopefully go and do it again, from one year to the next like that. You have to keep up there all the time. "Leinster deserves it because there’s a massive structure and a real good squad and we just have to work. There’s nothing else you can do, just work hard and go keep doing it every day." Brian Lowry Enniscorthy are the club on everyone's lips at the moment. Ryan Corry Toulouse will be returning to Dublin this weekend with a point to prove after a disappointing showing in Round 5 of the pool stage at the RDS. Meánscoil Iognáid Rís - the Christian Brothers School in Naas - has been to the forefront of educating boys for close to 150 years.